In the run-up to Saint Nicholas Day, December 18, more than 2000 needy children from Ternopil got their gifts under the project “Saint Nicholas remembers you”. Dozens of volunteers after the numerous preparation days moved to places where the youngest Ternopil citizens were expecting them. Children accepted all the gifts joyfully, which were packed at “Saint Nicholas’ Factory” in Ternopil, at Saint Josaphat parish, UGCC. Each parish of UGCC and a big amount of people of a good will, as well as donors contributed to executing this campaign by means of collecting money and active participation in selling ginger bread. Hence, on 18th of December, Head of Youth Commission of Ternopil – Zboriv Archeparchy, Fr. 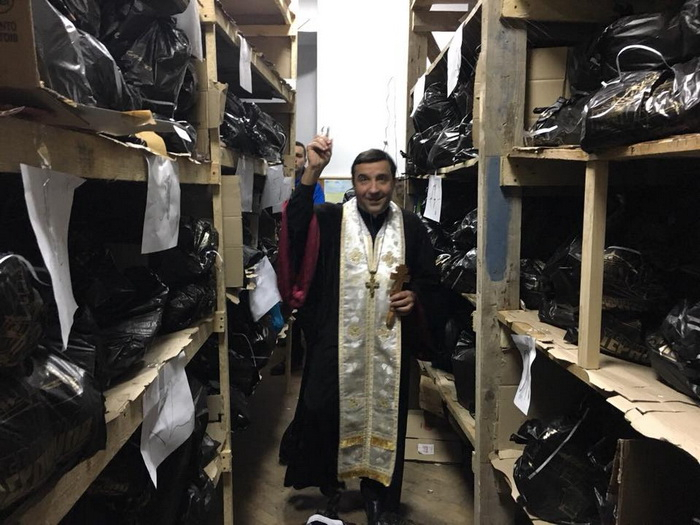 Orest Pavliskyi on behalf of Archbishop and Metropolitan Vasyl Semeniuk blessed the fruits of several weeks of work, after what St. Nicholas’ companions with the help of volunteer drivers headed to the homes of needy children. Youth Commission of Ternopil – Zboriv Archeparchy, UGCC is an organizer of this campaign. It is extending annually owing to active participation of young people from Greek Catholic parishes in Ternopil.